BBT-046 is a long-acting gamma interferon analog created using site-specific PEGylation technology. 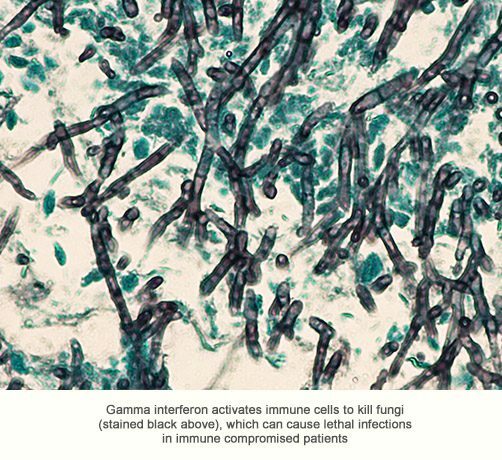 Gamma interferon is a critical immune defense molecule due to its ability to activate white blood cells and increase their capacity to kill bacteria and fungi. Gamma interferon is approved for treating two rare orphan diseases, chronic granulomatous disease and malignant osteopetrosis, and has shown promise for treating refractory fungal infections in immune compromised patients. Current gamma interferon products are administered to patients by three times per week injection, whereas BBT-046 is expected to require only once per week to once per month administration. Additional potential clinical applications of BBT-046 include treating other immunodeficiency diseases, atopic dermatitis, and certain cancers.